In India (Hindu culture), women are considered the Mother Aspect of God. 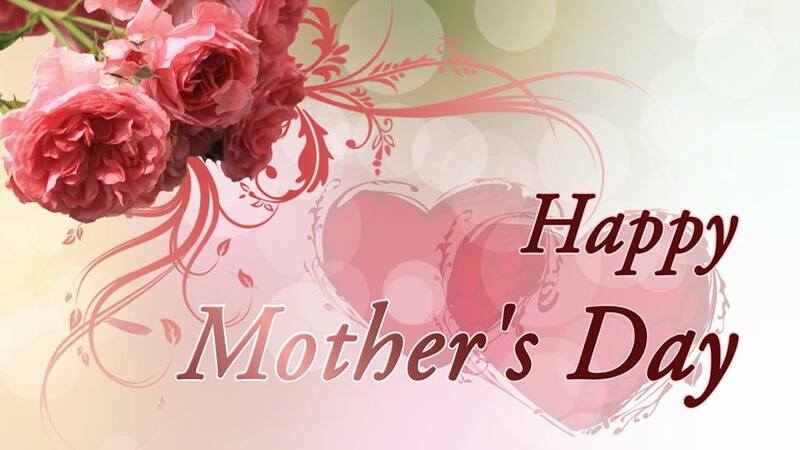 Wishing All Women a Very Happy Mother’s Day! (Rev. 05/14/17) Posted on my FaceBook page, 05/12/17. For me, Jesus’ greatest lesson was forgiveness, which he ultimately demonstrated on the cross. Sadly, while experiencing such horrendous pain, Jesus still was able to let go of the intense suffering, if only for an instant, and forgive his enemies. Which still remains a mystery, even for a devout truthseeker. Today, we still don’t know exactly how forgiveness works but it does, which is why it remains a great mystery. The thing is, I’ve learned that first we have to be willing to forgive, do it, and then our inner situation inexplicably changes. We actually begin to see things differently! Ultimately, I would learn that forgiveness is like crossing an unseen bridge: Once we forgive, which can include our own mistakes, we immediately cross that abyss within our own mind. Once on the other side, we understand the problem, experience inner peace, and finally real happiness. Of course, another thing that Jesus teaches us about forgiveness, which really was his central message, as the return to peace and love is its reward, is to let go of the negative thoughts (which keeps us bound to the pain) and let love continue the healing process. Of course, this is the hard part that can take a lifetime of practice; but what else is there to do? In short, we must take care to learn from our mistakes, so as not to make the same mistake again! 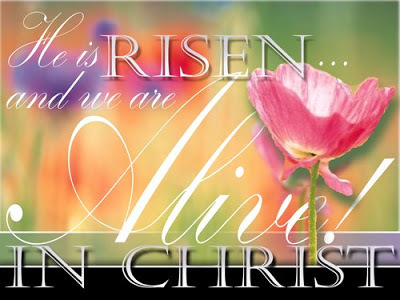 Blessed Peace be upon us, Happy Easter, Amen! Though Jesus had many disciples, most spiritual scholars believe that Peter, James and John were his best students. Destined to write the visionary Book of Revelations, seems the Apostle John was Jesus’ most advanced disciple. Such likely explains why John never denied Jesus and why a dying Jesus left his mother to John. Though we know little about John’s early life, Christian tradition maintains that John was probably born in Galilee about ten to fifteen years after the birth of Jesus. “And they immediately left the ship and their father and followed him”. Previously called that day were fellow fishermen Simon Peter and his brother Andrew; whom Jesus had told to, “Follow me and I will make you fishers of men”. Of course, these were not ordinary, earthbound fishermen who generally would not have recognized Jesus, nor abandon their family and livelihood to follow anyone. Likely devout students of John the Baptist, an advanced teacher of God whose primary task was to first come and prepare those ready to receive Jesus the Christ: Peter, James and John were now able to “follow” Jesus and accept his central message of universal love and forgiveness. Though some likely perceived him as such, particularly when upholding the truth, John the Baptist was hardly the raving “wild-man” typically portrayed in Hollywood films during its Golden Era. Usually scantily clad in a lion’s skin while ranting at lost sinners to repent lest they burn in hell, such behavior, of course, is the direct opposite of the peace and kindness inherent in God’s Teachers. Traditionally recognized as Jesus’ most advanced disciples, at his behest, Peter, James and John witness Jesus’ historic Transfiguration on the Mount where Moses and Elias (aka, Elijah) appear to them talking with Jesus. Afterwards, they also understood from Jesus that John the Baptist and Elias were the same, which strongly suggests that they had properly learned the basis of reincarnation. Though John the Baptist reportedly denied being the Prophet Elias when questioned by the Pharisees (“separated ones”) as to who he was, religious sages still hold that Jesus (as Elisha) was a disciple of John the Baptist (as Elias). Clearly of a higher mind, he was John the Baptist! That was his role in this life. In recognizing the limited, egocentric mindset of the Pharisees, perhaps John the Baptist felt it best not to discuss his previous life with those who would not only deny such a revelation, but also kill the messenger! And his work was not yet done. “…More than a prophet…there hath not risen a greater than John the Baptist…if ye will receive it, this is Elias” as foretold. Perhaps Elias was there after all, there in spirit to remind Jesus who he was and there to help him transcend the body during this very difficult time. Besides, no one really dies alone. 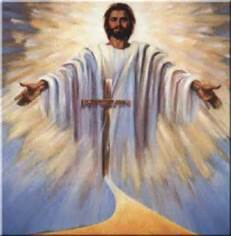 What better heavenly guide to aid Jesus than the familiar presence of his beloved former teacher. Meanwhile, until that final hour, Jesus would go on to teach, preach and fulfill his divine mission here on earth. As Scripture states, with a greeting and a kiss Judas betrays Jesus to local authorities while he is in the Garden of Gethsemane speaking with Peter, James and John. Whom Jesus had sought for comfort and support knowing that the time of his suffering for humanity was near. Yet, being human, instead of staying in prayer with Jesus, they fell asleep three times. Meanwhile, no surprise to Jesus, he is arrested and taken before the high priest Caiaphas “where the scribes and the elders were assembled”. Who then grills Jesus, to no avail, as to whether he is the Son of God. Naturally, Jesus kept his cool. Though Jesus spoke only the Truth, when he did speak, Caiaphas and the assembly’s upside-down thinking declare Jesus spoke blasphemy. The next morning, “All the chief priests and elders of the people took counsel against Jesus” and called for his death. And fulfillment of the law begins. Jesus soon stands before Pontius Pilate, the Roman governor of Judaea. Unable to pass death sentences, the envious priests falsely accuse Jesus of sedition. Knowing “that for envy they had delivered” Jesus to him for trial, the conflicted governor ultimately orders his crucifixion, though only after pressure from a crowd of naïve citizens who had been manipulated by their priests and civic leaders. Though the malleable governor washed his hands of the murder of “this just person,” as if to cleanse his conscience, still he had Jesus beaten, subjected to hateful ridicule and a violent death. Thus, Governor Pontius Pilate fades into history as the man who crucified Jesus Christ. Who then callously replies, “What is that to us?” They reject his pitiful recompense, claiming it is now blood money. Dejected, Judas throws the money on the temple floor, likely a cruel reminder of his irrevocable error, or so he believes. Sadly, he departs and ultimately hangs himself. As the final hour drew near, there also was the Beloved Disciple, John, who had stuck by Jesus the most, particularly at the foot of the cross with his beloved mother, Mary. Thus, John neither denied nor betrayed Jesus, ever. Henceforth, for Christians, this moment becomes Good Friday; the day Jesus redeemed our grievous errors. 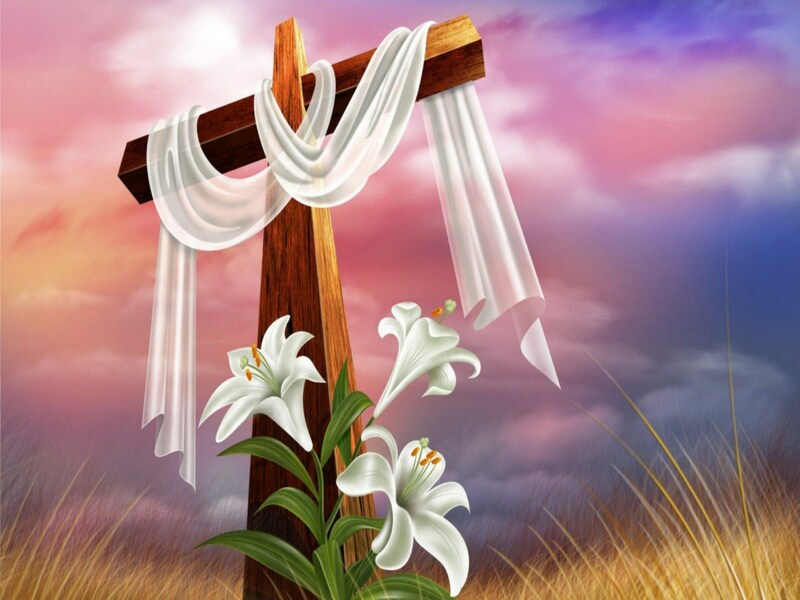 On the third day, now known as Easter Sunday, Jesus arises from the grave and reveals his greatest message, which simply states that life is eternal, be glad! As death, after all, is but a transition from this life-experience to the next. After discovering that the stone covering their teacher’s burial chamber is gone, Mary Magdalene, another close disciple of Jesus, runs to Peter and John believing they have taken away the body of their beloved Lord Jesus and she knew not where. Together they run toward the site, but John out runs Peter. Thus, John is the first to enter the sacred chamber and finds it empty. Yet, rather than believe that someone had actually stolen their master’s body, John intuitively knows that Jesus had risen. Though, the other disciples had yet to learn that (from Jesus), according to Scripture, he must also arise from the dead. Inconsolable, Mary Magdalene remains by the site weeping; she then looks into the chamber and sees two angels. Shortly thereafter, Jesus stands before her and, of course, she is elated. He lovingly bids her to touch him not for he is “not yet ascended” to our Father. This, says the metaphysician, is indicative of the natural transition from the body to spirit that usually takes three days, and is likely the root of prayer vigils and wakes for the departed in many traditions. Jesus then bids Mary to go and tell the others of his ascension. Finally, Jesus meets with his advanced students: the eleven remaining disciples, whom he had ordained to preach the gospel, heal sickness and cast out error. Even after hearing from Mary Magdalene that she had seen and spoken to Jesus, still they were frightened thinking they had seen a ghost. He lovingly opens their minds and explains why the Christ had “to suffer and rise from the dead the third day” as written, which is based on the Law of Creation (Karma) and is rarely understood by a closed mind. According to the Ancients, wisdom cannot be taught; but the way to wisdom can be taught. This is why Jesus came among us and accepted the consequences of our errors, simply to show us the way back to the Source of all wisdom, which is called God in Christianity. Of course, we must first apply Jesus’ teachings before we can understand the value of Divine wisdom. Then, Jesus authorizes his disciples to preach in his name, among all nations, the value of contrition and remission of erroneous thoughts and actions for inner peace and happiness, to which they were witnesses. 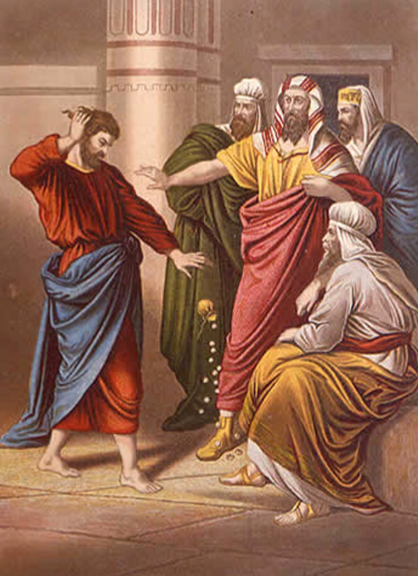 Sadly, a deeply troubled Judas Iscariot, the twelfth disciple and alleged political zealot who likely lost faith in Jesus’ nonviolent policies, had committed suicide after realizing he betrayed his spiritual teacher, an innocent person. 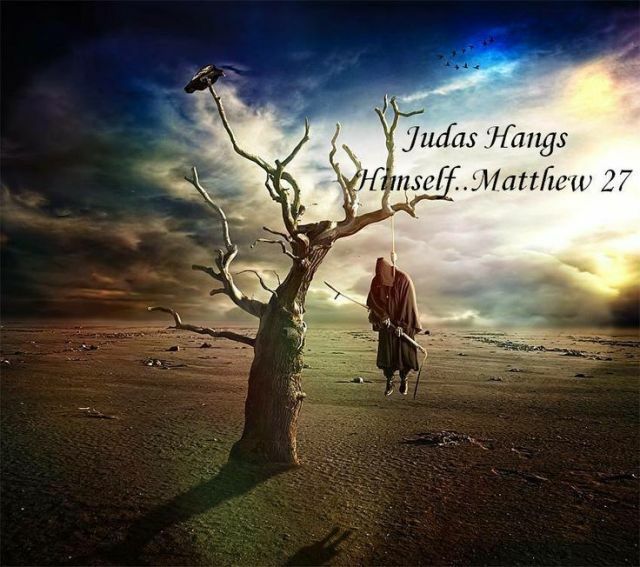 Thus, Judas was not present at Jesus’ final departure and therefore did not receive the promise. Many still wonder why Jesus the Christ, who had extraordinary powers, would allow a Judas to belong to his inner circle. Of course, Jesus, who likely abhorred censure, knowingly came to redeem Judas also. Yet, the answer to this perplexing question is amazingly simple, which rests entirely in humanity’s absolute freewill that even God will not overturn. Much like the Prophet Muhammad who could not overturn the ills of society manifested in centuries of slavery, neither could Jesus usurp the heart of one traitor. Here we must understand that God’s Redeemer cannot just wave a magic wand and undo the mess we made; that would not solve the problem. Only our willingness to change can save us. Thus, if we never discern why we go astray and change, we likely create the same conditions over and over and hurt more people in the process. We must realize that creation follows law! It must in order to maintain balance and harmony in the Universe. Somewhat like the laws that uphold our society. Yet, God’s Love surpasses law. However we must first remember to accept Divine Love and let it flow like a river in our lives. Thus, God’s Teachers can only show us the way; it is up to us to follow it. So, when Jesus said, “I am [not] come to destroy the law, or the prophets…but to fulfill”, he would have us realize that with freewill comes the responsibility to rightly choose that which is in harmony with God’s Plan for our happiness. Otherwise, we are on our own and, in time, will likely suffer dearly and needlessly as did Judas Iscariot … but not forever! Of course, forgiveness is Jesus’ gift to humanity directly from God, the ultimate gift that keeps on giving. 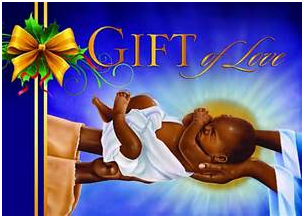 Yet it is the least understood gift of all; that is, until we practice it! Naturally, this does not mean that we have to stick around and let some poor ignoramus keep hurting us. That too is in error. Actually, what Jesus wants us to realize, always, is the value of God’s Unconditional Love for us, which is the basis of our creation. When we fail to forgive others (or ourselves) relentlessly, we actually block our awareness of God’s love, which is the only source of life and our real happiness. Thus, the soul of Judas Iscariot, when ready, is redeemed at last. “But the Comforter, which is the Holy Ghost, whom the Father will send in my name, he shall teach you all things, and bring all things to your remembrance, whatsoever I have said unto you” . Founders Peter, James and John naturally become pillars in the early Christian church. In recognition of St. Paul’s ministry, a leading convert and chosen Apostle to the Gentiles, as was Peter to the Jews, who would become the New Testament’s most prolific writer: Peter, James and John extend “the right hand of fellowship” to him . Though St. Paul rightly notes that he needed no man’s approval as his mission came by revelation, he no doubt loved and admired the apostle’s relentless dedication very much. While the reports of the Apostles continue to inspire and comfort Christians everywhere, still, today, most Christians remain perplexed after reading the Book of Revelations by the Apostle John. Though often intrigued by it, particularly our gifted dramatists, most of us find St. John’s Revelations from the Christ downright scary or too gloomy to think about; thus preferring to read the Four Gospels and the more comforting thoughts of Jesus the Christ instead. Yet, for those of us who traverse the road less travelled, the Book of Revelations eventually becomes an affirmation of the advanced teachings of Jesus and the Ancients, rather than something to avoid out of fear. For therein, amid the scary images, lies the complete story of the fall and redemption of humanity and the way home. Or back to our Higher Mind. See, the Bible Dictionary KJV, p. 65, Pharisee. St. John 1:19-34; see also Isaiah 40:3; Esaias is Greek for Isaiah (Easton’s Bible Dictionary). St. Matthew 27:46 to 50. See, “Jesus Christ Superstar” from the genius of Tim Rice and Andrew Lloyd Webber, c 1973. St. Matthew 27:1-43. See also John 18: 28-40 re malefactor or sedition charge. St Luke 24:49 and St. John 14:26. Galatians 2: 1-10, KJV and NIV. Happy Birthday Dear Jesus, So Glad You Were Born! © Delores L. Adams and The Aunt Jemimah Post 2015. All rights reserved. That we are truly loved! “I Am Loved.” And so we are. From the heart wishing all: A very Merry Christmas and Happy New Year!